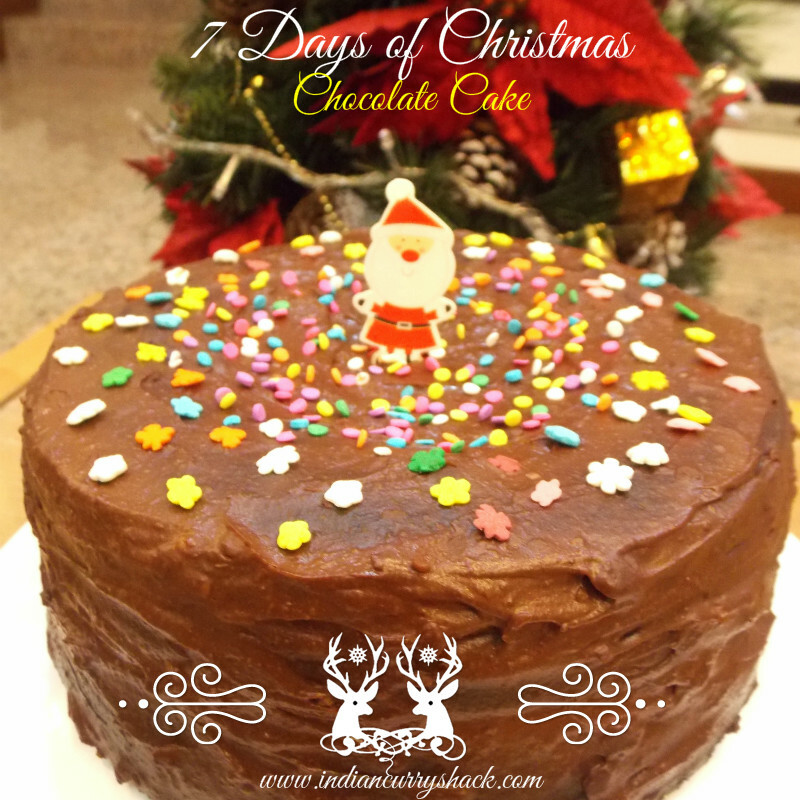 The Christmas Special Recipe for Day 7 is Chocolate Cake Day 7 of 7 Days of Christmas! Wow! Last 7 days were so exciting and fun-filled. 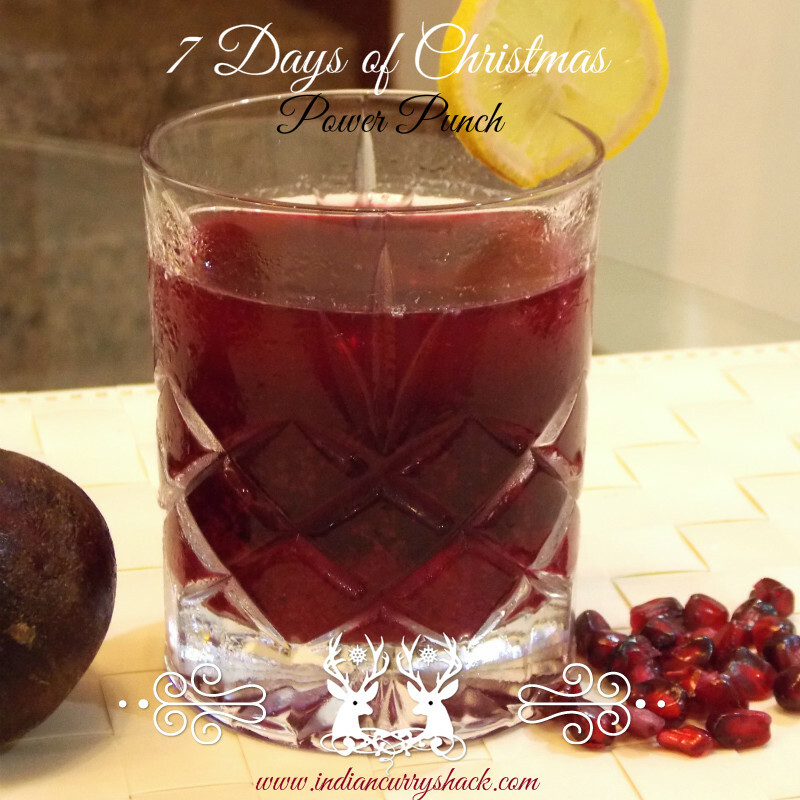 Making 7 Christmas Special Recipes every single day and posting them here. Although with full-day of office at times it did become challenging. But, my motivation to bring this special series to you all was very very high. I hope you all enjoyed the recipes. Most of them are very easy to make once you have all the ingredients. Wishing You All A Merry Christmas and Happy New Year! Enjoy, Cook, Eat, have loads of fun with your loved ones! 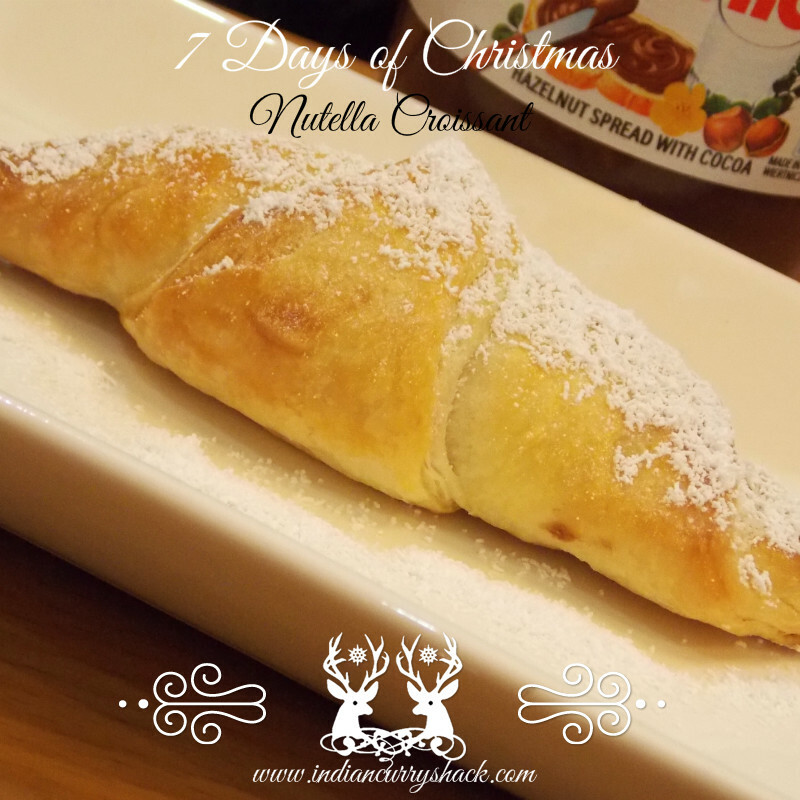 Day 6 brings the deliciously magical combination of Nutella (sweetened hazelnut chocolate spread) and Croissant (buttery and flaky pastry). It’s one of my favourites for a Sunday breakfast. A must try for chocolate (nutella 😉 ) lovers. Divine is the word for these cookies. 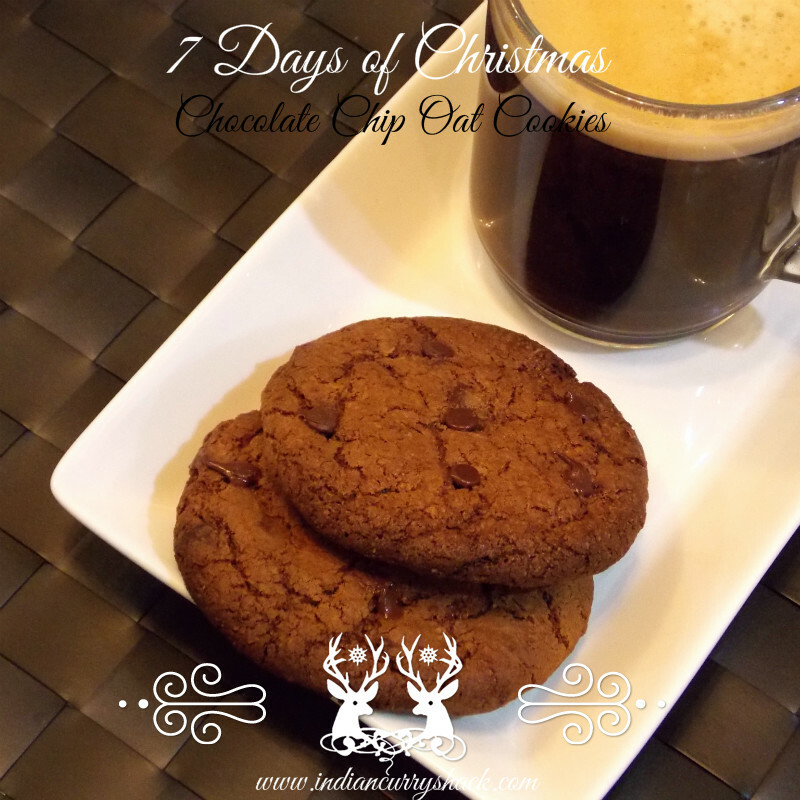 Start your day with Chocolate Chip Oat Cookies with a cup of Tea or Coffee. My better half savoured these with his black coffee. Kids will adore these with a glass of milk or just as is. Excellent to pack these in your Christmas gift baskets too. Perfect for parties and sure to win a lot of hearts. Puff Pastry is made in layers that expand when cooked. 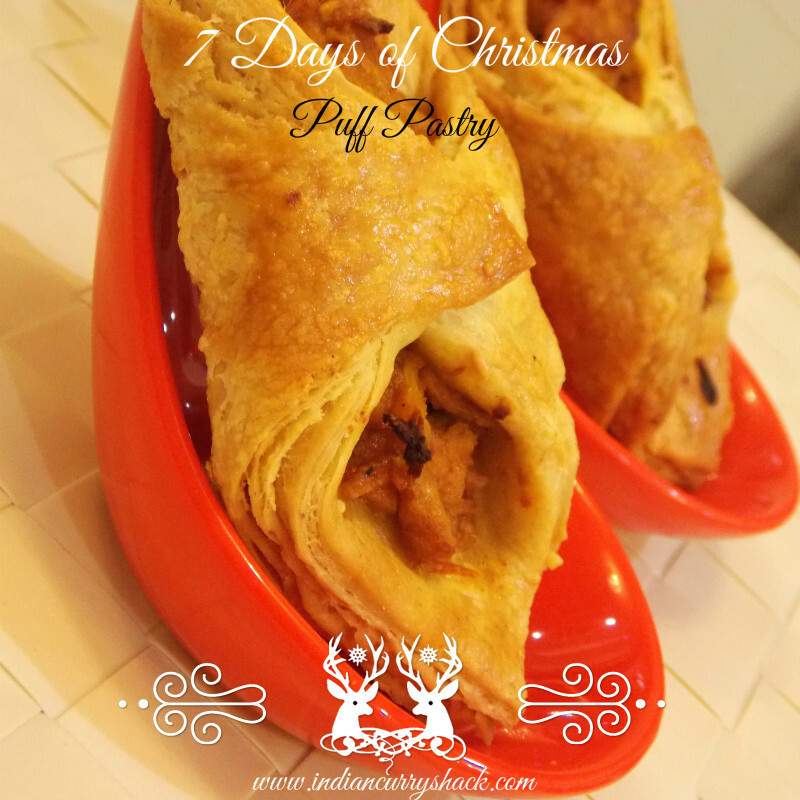 It is quite versatile so feel free to add a filling of your choice or serve flaky as is. The incredibly light flakes are enough to make it Oh So Special! 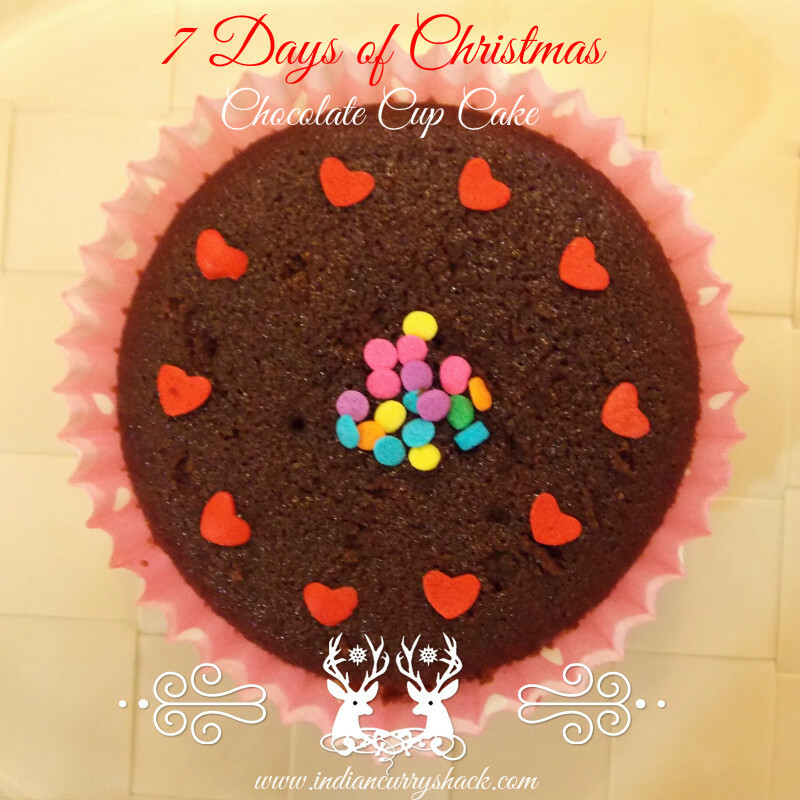 I am sure after trying this for the first time you will find reasons to make this delicious and easy cupcake every now and then. Celebration is in the air! 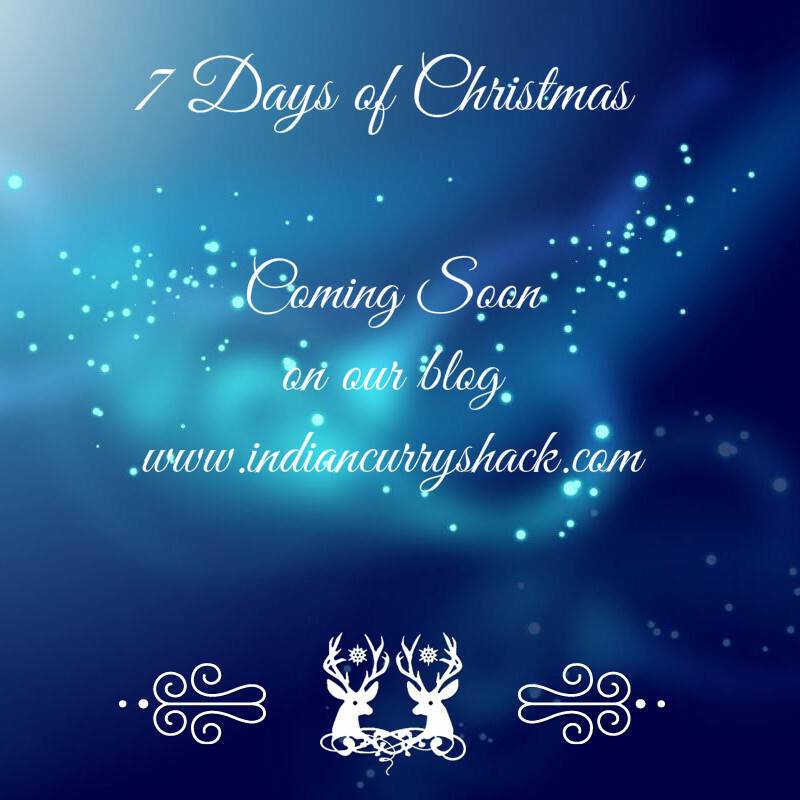 Enjoy 7 Christmas Special Recipes for 7 Days – Starting Dec. 19th, 2014! Hi anugya tried your oats and chocolate chip cookies today and the taste was yumm…but my worry is that they turned soft and not crispy …that’s how they should be ? ?and also d sugar was granulated so can i powder it and use?? The cookies will be soft when just out from the oven but they should harden slightly after they cool down. The texture will not be very hard or crispy. Small granules of sugar are okay but if you have the larger ones, then grind them coarsely.